Is Google Penguin 3.1 here? Overall we didn’t notice many positive or negative changes in Penguin 3.0 update on the 17th October, for a major update we’d all been waiting for I couldn’t help think is that it?Like many SEO’s we do a lot of link auditing for clients that come to us with penalties already, as long as there is SEO there will be the need to help correct poor quality work too. Easter & Thanks Giving have both been times when Google have cared enough to share a cuddly creature for us all (ain’t that nice?) But when I heard via Bartosz on his blog (nice chap by the way I called him today and had a bit of a chat) that he thought Penguin 3.1 was rolling out or so he believed , I wasn’t all that surprised. I checked all our sites and client sites but sadly nothing….or so it seemed. 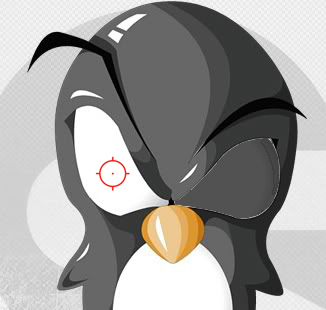 Why did we expect a Penguin refresh so soon after 3.0? The reason I was expected to see an update around this time was because of the Easter bank holiday update, yes a nice chocolate egg laid by Google that hurt so many users sites out there and because of John Muller ‘s comments on ‘more regular updates’ could be expected. Great for those who’ve been hit and work hard to recover. I’ll be honest I was disappointed to see no changes it sites we’ve been trying to correct and get on the right path but then I reminded myself, the UK saw Penguin 3.0 roll out first so maybe the it was our Stateside friends turn to receive first. After all it was thanksgiving. Early Monday morning on December 1st 2014 I couldn’t resist and started to check sites, immediately saw BIG things happening and sites showing up in the top 5 positions for the majority of their searches. GREAT! I am sure i am not the only one who does this but i was immediately obsessed with checking positions and although a few fluctuations probably more likely down to which server was been accessed to pull results, all was looking good. One health site in particular which we had been working on for a good 9 months if not more hadn’t seen any positive or negative changes when Penguin 3.0 rolled out but as if by magic it’s #1 for it’s most important search term. The only time i noticed something a little odd was when I was out of the office and I searched again and saw something completely different, almost every time I searched the same thing i was presented with different results. I cleared my cache, changed browsers, everything you can do even change location of my position. I put it down to server location again and waited till i was back home. Bingo! Search results still presenting as they did on Monday morning across all devices. After going back to the office and repeating the same thing across Monday and Tuesday all looked well, apart from the occasional search where something random appeared or something I wasn’t quite expecting. From what I can see there are 3 ways of the results showing currently over the last 3 days after the 3.1 Penguin roll out. I think it’s worth mentioning my mobile device is not longer showing the mix bag of frogs results as it was Monday. So if we go off the same assumption that this mixed bag of frogs result is probably just some missing data or incomplete data for the algo update that hasn’t gone through yet. Or at least i am hoping that.